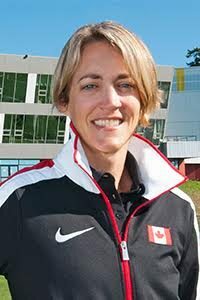 VANCOUVER – Three-time Olympian Maelle Ricker will lead Canada’s snowboard team at the Sochi Games. Ricker, a 2010 gold medallist in snowboard cross, was among five competitors named to the team Friday. The remainder of the squad will be unveiled Jan. 21 in Quebec City. “We definitely have an amazing group and an amazing team and to be a part of it is great,” said the 35-year-old from of West Vancouver, B.C. “The team is doing great. Also named Friday were first-time Olympians Mark McMorris of Regina, Sebastien Toutant of L’Assomption, Que., Spencer O’Brien of Courtenay, B.C., and Chris Robanske of Calgary. McMorris, Toutant and O’Brien will all compete in the slopestyle event — which is making its Olympic debut in Sochi — while Ricker and Robanske are entered in snowboard cross. Canada won 26 medals at the 2010 Olympics in Vancouver and has set a lofty goal of finishing first in the overall medal count in Sochi. “If we say we don’t want to be No. 1, we’re striving for mediocrity and we’re not going to do that. We will strive to be the best,” said Canadian chef de mission Steve Podborski, who won bronze in men’s downhill at the 1980 Olympics. “When we went into (the 2006 Games), we had no notion that we could strive to be No. 1 and now we are looking at that. If it’s going to happen, Canada will in all likelihood need big performances from its snowboard team. Canadian snowboarders claimed three medals in 2010, with Ricker and Jasey-Jay Anderson capturing gold medals, while Mike Robertston won a silver. McMorris, viewed as one of the favourites in slopestyle, doesn’t feel any added pressure with Canada looking to top the medal standings. “Whenever anybody looks at you to win there’s pressure,” said the laid-back 20-year-old. “I’ve been able to have a lot of success over the last three years and consistently podium or win events. The 2014 Games begin on Feb. 7.